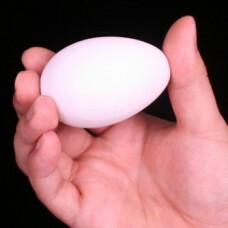 AUTOMATIC SILK TO EGG -- Plastic Construction; Electric. This is as much fun to play with as it is to perform! The magician holds a white silk in his hand. All of a sudden, the silk takes on a life of its own and begins to climb up inside of the magicians hand! Once the silk is completely out of sight, the magician opens his hand to reveal...an EGG! 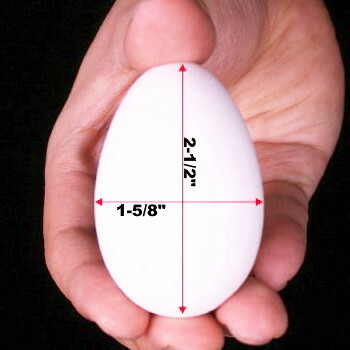 And now, the egg is cracked into a glass proving that it is the real thing. This is completely controlled by a tiny pushbutton and is easy to perform. Includes the gimmicked egg - a special white silk - charging cable. No instructions, but you'll understand how it works upon examination. PLEASE NOTE -- This is in my "Used/Collectible" category....I have ONE ONLY and will not be able to restock it. If you're interested, please don't hesitate! Suggested retail price is $149.95.